This is one of the best things I’ve ever seen. 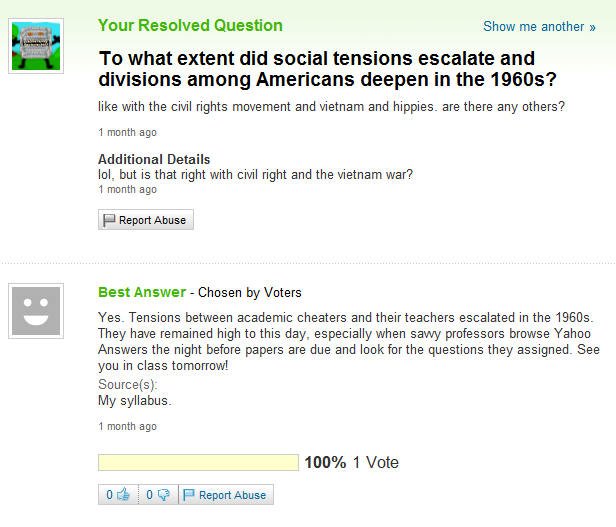 They should make a Lamebook-style yahoo answers site. Ditto what Emma says: I love this. I’m wondering if I should be perusing it for questions from my staff…..